From the first moment online dating was invented, it was an enormous success all around the world. Nowadays, some countries are more invested in this game, some are not that interested, but on a global scale, this form of dating is extremely popular. Why? Well because it simply works. One of the countries that are really into the whole online dating game is India. The land of arranged marriages is now slowly becoming modern and the massive acceptance of online dating sites is just a solid proof of that transition. 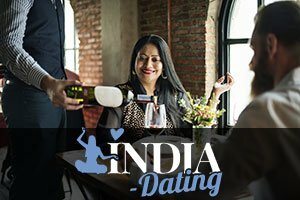 Millions of people from India are using popular dating platforms and one of the biggest concerns among the users is if they will be able to stand out from that vicious competition. This is exactly why we decided to help out all the online dating rookies out there and share some tips on how to make your profile unique and noticeable. Much like in real life, honesty is crucial on online dating sites as well. Of course, you can exaggerate a little bit, but if you are looking for a meaningful long term relationship, you simply must not lie! You would be surprised to know how easily people can spot a fake or a dishonest online dating profile. When you think about it, there is no use in lying because, if you do manage to get an actual date, you simply won’t be the person from your profile. Your date will just turn around and leave. No one wants to date a liar. So, be completely honest about your physical appearance, your education, hobbies, and other interests. If you do that, you won’t have any problems on your date and you might just get a second one and hit it off with the right person. Most of the time people simply write stuff like “I’m a funny person” or “I enjoy traveling”. Ok, that is awesome if you really are like that, but thousands of strangers on the online dating site won’t quite believe you until they get some proof. So, if you want to save everybody some time, you should definitely write something witty in your “about” section, and post some fresh photos of you traveling or enjoying some fun and exciting activities instead of just talking about them. Not only that those photos would be a much-needed proof, but they will also be an incredibly successful conversation starter. So, two birds with one stone. Pretty cool. You would be amazed to know how important and crucial this step is when it comes to online dating. There are too many generic and non-specific profiles out there, so being precise and specific about the things you want and don’t want is one of the best ways to stand out from the crowd. People are more likely to notice a uniquely written profile than a generic and common one that is filled with cheesy phrases. Also, don’t hesitate to write exactly what kind of person you would like to date. Feel free to state what you like and, more importantly, say what is the absolute deal-breaker for you. This way you’ll get messages only from the people that are truly your perfect match material.